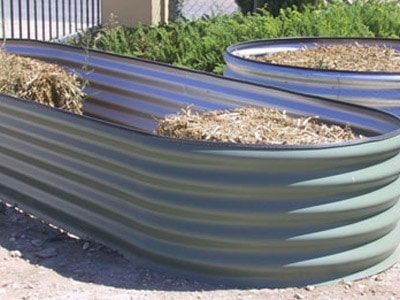 Raised garden beds are the new rage in Adelaide for growing all types of plants, flowers and vegetables. 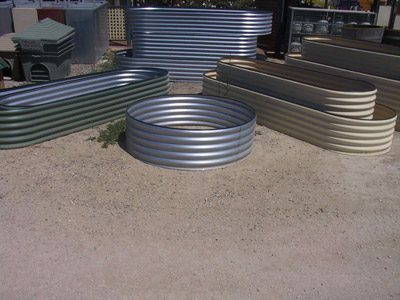 The raised corrugated beds we keep in stock are a great addition to any landscaped garden or backyard. 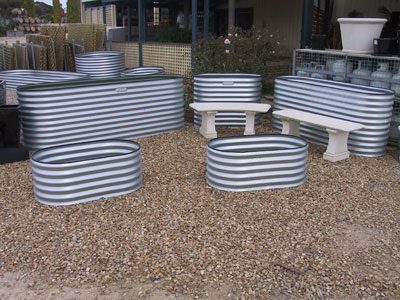 Come and see us in store to see our range of Amari corrugated raised garden beds. 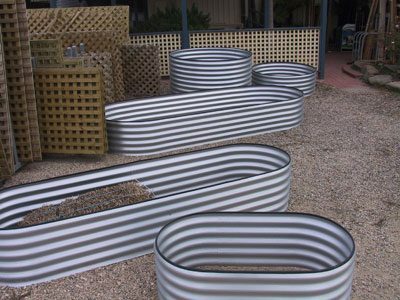 These garden beds are extremely popular and are available in a large range of different sizes and widths. 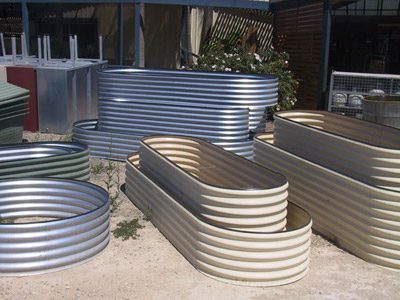 The Raised beds are available in Galvanized or if you would prefer they can be supplied in several different colours. Many people like the challenge of building their own garden beds from timber sleepers. We can help design the garden bed to suit your property, work out the soil you need (see calculator) then deliver all the goods you need in one go. Alternatively, take it all home on one of our free loan Trailers.